The world is chock-full of odd Christmas traditions, from Santa’s Austro-Bavarian demon-helper, the Krampus, to Saint Nick literally having eyes on the back of his head in Japan. Kids growing up in Catalonia, on the other hand, have not one but two different poop-themed traditions to look forward to every Christmas: the Caganer and the Tió de Nadal. What Exactly Was the Christmas Star? The Caganer is an interesting figure in Catalonian Christmas celebrations. His name translates to something like “The Crapper” and he is usually found tucked away in the corner of the manger scene taking care of business. 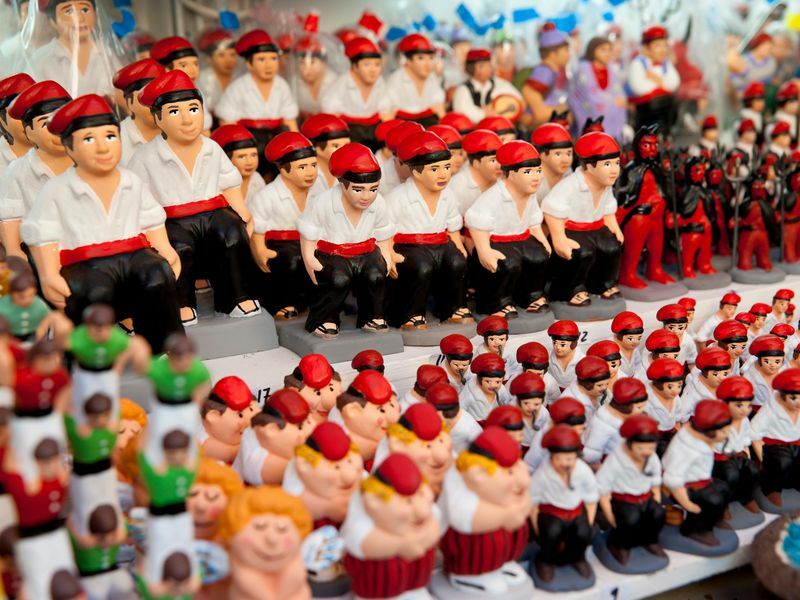 Traditionally, the Caganer is depicted as wearing a traditional Catalonian red cap and white peasant shirt, although figures modeled to look like celebrities, politicians, and even the Pope are also popular, Reuters reports. The Caganer has graced Catalonia Christmas celebrations with his presence for over 200 years, but no one is really sure how he first showed up. For some people, the pooping figure symbolizes fertility and some legends in rural communities hold that a Nativity scene without a Caganer would lead to a bad growing season, Sarah Rainsford reported for the BBC. 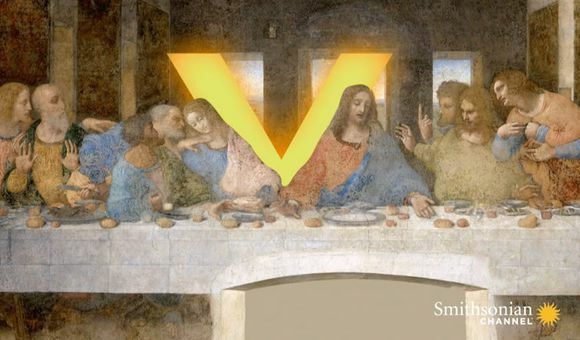 Others say that the irreverent figure is meant to humble establishment figures or that it demonstrates that no one can be prepared for when Jesus will appear. And some even say that the poop was a birthday gift, of sorts. “It was the only thing the little shepherd boy had to give the Baby Jesus,” Nancy Duneuve told Rainsford. “So it's not at all disrespectful, it's a great gift." Oddly, the Caganer isn’t Catalonia’s only poop-themed Christmas tradition: there’s also the Tió de Nadal, or “Log of Christmas.” At first glance, the Tió de Nadal looks like a bit like a silly ornament, a log with a goofy cartoon face painted on it and wearing a red cap like the Caganer. Starting with the Feast of the Immaculate Conception on December 8, children make sure to “feed” the log treats and candy every day to make it “grow” over the weeks leading up to Christmas. Tió de Nadal are so popular that there are special artisans called tionaires who spend almost the entire year crafting the poop logs for Christmas. While the piñata-like log is traditionally male, in recent years female “tionas” have become just as popular, Hui reports. As Christmas gets closer, parents switch out the Tió de Nadal with bigger logs, to make it look like it gets bigger as it eats treats. But the real event comes on Christmas Eve, when children take the smiling log that they’ve lovingly fed for weeks and beat it with sticks until it poops out candy and cake, Hui writes. There’s even a traditional song that kids sing while smacking the log, although, unsurprisingly, the translation is a bit vulgar. It’s unclear whether the Tió de Nadal and the Caganer are connected outside of the obvious (and smelly) theme, but the coincidence is strong enough that there’s plenty to speculate about, as seen in this comic by Benito Cereno and Anthony Clark. Danny Lewis is a multimedia journalist working in print, radio, and illustration. He focuses on stories with a health/science bent and has reported some of his favorite pieces from the prow of a canoe. Danny is based in Brooklyn, NY. Is a kiss really just a kiss? 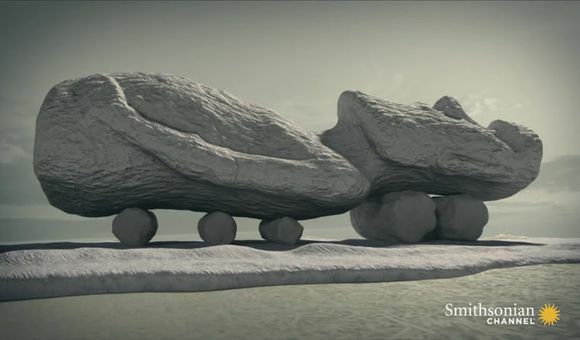 In this one-minute video, our Ask Smithsonian Host, Eric Schulze, explains why we pucker up. Thousands of massive stone monuments, known as Moai, preside over Easter Island. The way they were carved, using only stone tools, seems unfathomable.